I was watching TV on Sunday night, May 1, when an urgent message scrolled across the bottom of the screen: President Barack Obama was about to make an important announcement related to U.S. National Security. 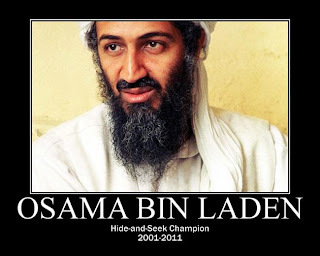 Over the next few minutes, though, the reporters beat him to the announcement: Osama Bin Laden had been killed by an elite team of U.S. Navy Seals in a surprise attack at his compound in Abbottabad, Pakistan. Details were sparse, but news of his death prompted immediate jubilation that spilled out in streets across the United States. 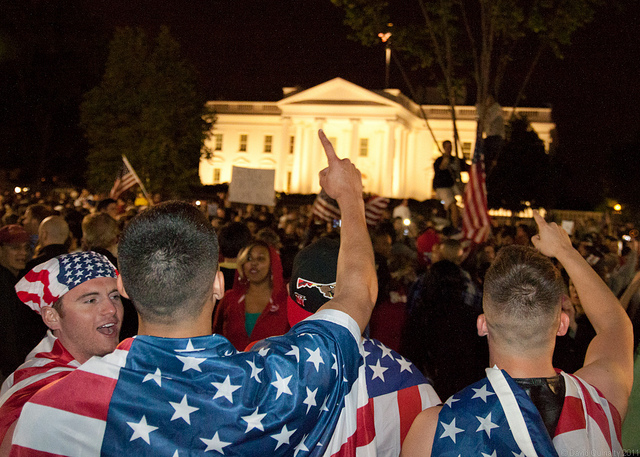 People waved American flags and chanted, "U.S.A. U.S.A.," while Toby Keith's song-turned-anthem played in the background: "We'll put a boot in your a%#, it's the American way!" I didn't know how to respond. Three factors were swirling in mind: Christian faith, U.S. National Security, and an active terrorist. Could those three be brought together in a way that realistic made sense? On the one hand, I understood Brian McLaren's comment that, "Joyfully celebrating the killing of a killer who joyfully celebrated killing carries an irony that I hope will not be lost on us. Are we learning anything, or simply spinning harder in the cycle of violence?" And, on the other hand, I understand the perspective of a son who lost his dad in the 9/11 attack on the World Trade Center: "I don't even know how to describe the feeling. I don't like to say I am celebrating someone's death. I don't know what closure is - I don't know how it's supposed to feel. But it feels like something has been lifted. Knowing the person who plotted to kill my father is off the face of the earth, that's a good feeling". What followed was an on-slaught of opinion from radio and television pundits across the country. 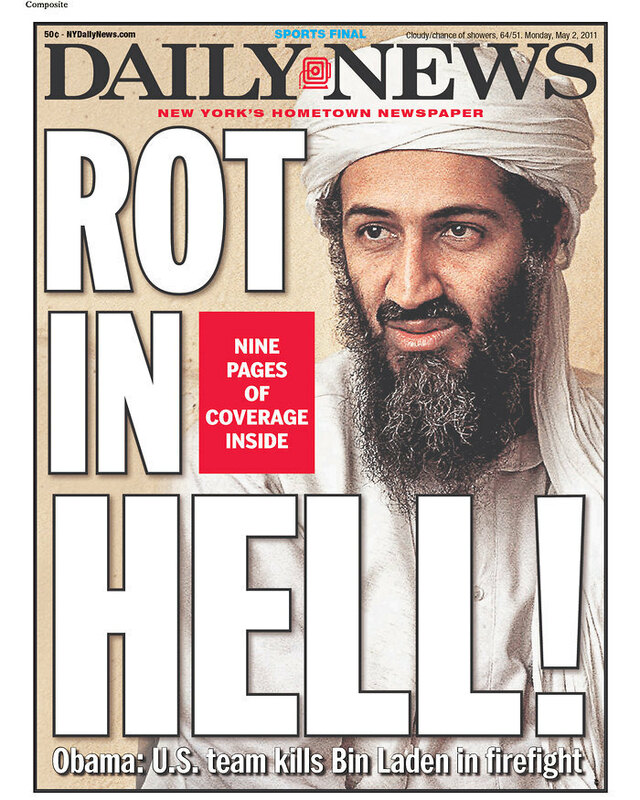 The NY Daily News even featured a cover that featured Osama's picture with the words "Rot in Hell!" I guess I shouldn't be surprised at such a headline. After all, Walter Brueggemann notes, "The militarism that pervades our society serves to protect and maintain a monopoly that can deliver and guarantee all that is necessary therapeutic technological consumerism". So, in other words, Heaven forbid the United States be stripped of its assumption that every discomfort and inconvenience can be counteracted by the latest products or treatments. The advertisers and politicians (is there really any difference) have told us for years that a little of this and everything will be just fine; and a little of that and everything will be going your way...you just wait and see! 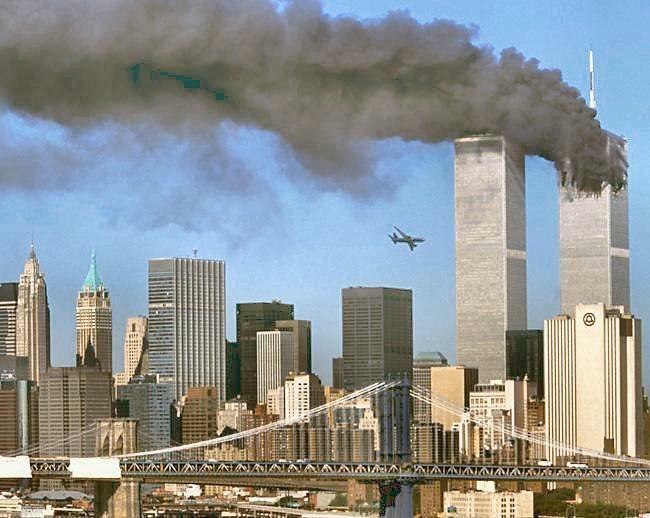 So on September 11, 2001 when 2 airplanes flew into the Twin Towers in New York City, the impossible and unthinkable happened: we became one with the rest of the world. Or, as Stanley Hauerwas said, "Our wealth has given us a false security in a way that we haven't had to live like the rest of the world lives. Now the rest of the world has pulled us into that world, and we're mad as hell". It seems to me there are two poles that Christians should avoid: triumphalism that acts like whatever means we use are justified as long as the ends that we deem favorable are reached, and resignation that acts like we have no part to play in curbing evil activities and people in the present world. I, therefore, think N.T. Wright is right on target when he says, "Because one of the God-given tasks of authorities in the present time is to protect the weak and vulnerable from oppression, I believe that police action is often necessary, involving physical restraint and sometimes actual violence to prevent wicked and powerful people getting away with their intended ill-treatment of the weak, poor, and vulnerable". I like how his phrases here avoid the language of guilt and innocence, and, instead, stick to the concepts or "weak, poor, and vulnerable." He also hinted at this in his book, Evil and the Justice of God, in which he references our dual tendencies to project evil out on to others and to project it on to ourselves - both of which he calls "immature" and "inadequate". Instead of those reactions, he offers a different way forward: "There is such a thing as evil, and it is to be addressed and defeated not by ignoring it on the one hand or by blasting away at it with heavy artillery on the other - evil with all the smart bombs current available, still when the shooting starts hundreds of thousands of civilians get killed - but by addressing it with the message and the methods of the cross". How that works in actual practice is a bit ambiguous to me at the present time, but I'm trying to work it out. So where am I at in my reaction to the killing of OBL? I think the celebration that took the form of frat-boy toga parties is off-base, off-putting, and out of place. I think it is a good thing that Osama is not alive to plot, execute, and fund actions of terror in public squares across the globe. I think there could be an "up-tick" in terroristic activity as his successors jockey for the newly vacated position of "top-dog." 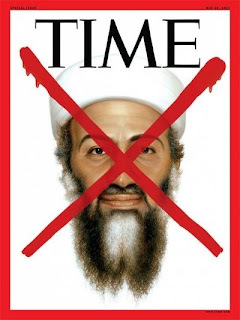 I, therefore, think that "closure" is too strong a word to use with reference to the killing of one man whose network of terror continues to haunt and annoy us every time we anxiously walk through airport security or suspiciously board an airplane. 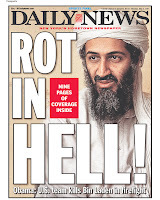 I think that a survey of headlines defies any remnant of sentimental talk of America as a "Christian Nation." I don't think a nation-state that adopts Jesus' ethics of nonviolence (Matthew 5:38-48) can survive very long. I think that we must live realistically between the first and second comings of Christ, and that evil must be kept in check by the authorities appointed by God to do so (see Romans 13). I think that violence of prevention can sometimes prevent further or larger-scale violence of aggression. I think that there are a couple (literally) of texts about soldiers (see Luke 3:14-15; Matthew 8:5-13; Mark 15:39; Acts 10:1ff) in the New Testament which stand in tension with the primary themes of peacemaking and reconciliation. These brief narratives, in the view of Richard Hays, "provide the one possible legitimate basis for arguing that Christian discipleship dos not necessarily preclude the exercise of violence in defense of social order or justice". There's still a great deal to process, and plenty of ancillary topics to explore (church and state, church and culture, Christians and violence, Christians taking up arms in defense of the nation-state, Old Testament vs. New Testament, and the list could go on) but these are my preliminary thoughts - and yes, they took over a month to put together! Brian McLaren, "On Waking Up to Today's News," http://brianmclaren.net/archives/blog/on-waking-up-to-todays-news.html (accessed 5/2/11). Max Giaccone, "If My Dad Were Still Here," Newsweek, May 16, 2011 (page 18). Walter Brueggemann, Mandate to Difference: An Invitation to the Contemporary Church (Louisville: Westminster John Knox, 2007), 193. N.T. Wright, "World Needs Strong United Nations," Washington Post (1/15/07). N.T. Wright, Evil and the Justice of God (Downers Grove: InterVarsity, 2006), 29. Richard Hays, The Moral Vision of the New Testament: A Contemporary Introduction to New Testament Ethics (San Francisco: HarperOne, 1996), 336.